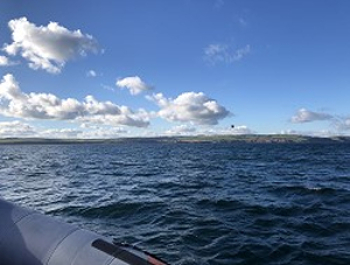 In early November 2018, Coastal Communities Network members Community Association of Lochs and Sounds (CAOLAS) – a community group based around Loch Sunart and the Sound of Mull – participated in a community learning exchange to visit the St Abbs & Eyemouth Voluntary Marine Reserve (VMR) in Berwickshire. Read Part 1, Mario’s reflections. The VMR-Caolas learning exchange was a great opportunity to meet up with the team in Eyemouth, where there has been a Voluntary Marine Reserve for many years. In fact this was my first visit to Eyemouth, which I had always assumed was the same place as St Abbs. Following my stay with the team, it is clear that Eyemouth is very different from St Abbs – and unlike many East Coast traditional fishing villages has not been gentrified to the extent of places like Anstruther and Pittenweem, but still looks and feels like a working fishing port. I stayed right on the harbour front at the Hippodrome and was aware of the ongoing activity in the harbour, where the daily catch is processed and packed by D.R. Collin and Son, Award winning fish merchant, into ice right below the building I was staying in. Eyemouth, like so many maritime fishing communities, is huddled around the harbour, with narrow wynds connecting the buildings to the seafront. The local pubs, The Whale Hotel, The Fleet Bar, the Contented Sole, and plaques around the town, are all reminders of the connection Eyemouth has with fishing – and indeed the price the community has paid in the past when the fishing disaster of 1881 left 78 widows and 182 children without a father. The marine reserve in Eyemouth is quite different from the Marine Protected Area that I am involved with on the West Coast. 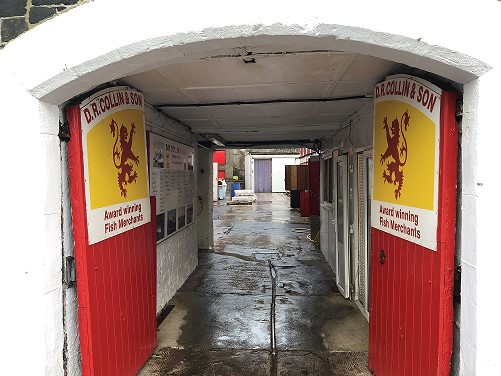 Eyemouth VMR is focused on supporting the sustainable management of the Lobster and Crab fishery, which clearly supports many jobs in Eyemouth, although the products are shipped off to Europe within hours, so the connection to the wider community is harder to find. The Loch Sunart and Loch Sunart to Jura MPA are based on the protection of certain species – Priority Marine Features (PMFs) – Flame Shell Mussels, Northern Feather Star and the Skate. These PMFs do not represent any economic or commercial value. With respect to Skate, angling and sea angling is a recreational sport that generates income, but this is also extremely difficult to measure. Skate angling in our area is carried out by a handful of people, who camp on the pier, fish all night and go home the next day having caught and released the skate that they have pulled up from very great depths (off the pier is 110m) over many hours. I am not sure what value that adds to the local economy or what harm that does to this protected species. There is more focus on the West Coast on tourism and aquaculture – which is not as prevalent on the East Coast. Eyemouth also has a growing population of seals, which due to the size is thought to be unsustainable. The VMR team: Mario, Lyle and Joe, were great hosts and we managed to go by sea to the extent of the VMR and look back at the coast. In terms of size, it is a tiny percentage of the Territorial waters, and trying to convey the concept of an area of sea that has been protected and how that might be meaningful to the non–fishing community is a challenge. 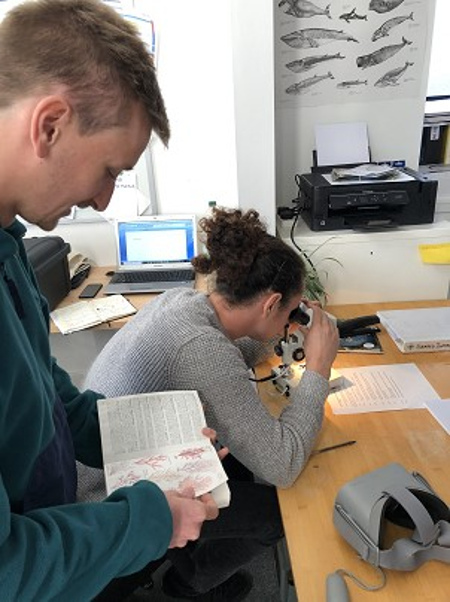 Clearly, outreach, education, activities and interpretation are the tools of choice in this challenge, which is probably the same throughout the Coastal Communities Network (CCN). Measuring the health and sustainability of the reserve, and the impacts the reserve has had on the wider marine ecosystem, is important. Although the reserve has been in place for many years this baseline data was not established at the outset. This is a key learning point and the newly created MPAs are all in the same position. Without a baseline how can we argue that MPAs work? What if they are not working and nature needs a helping hand – how would we know this if we are not monitoring indicator species? 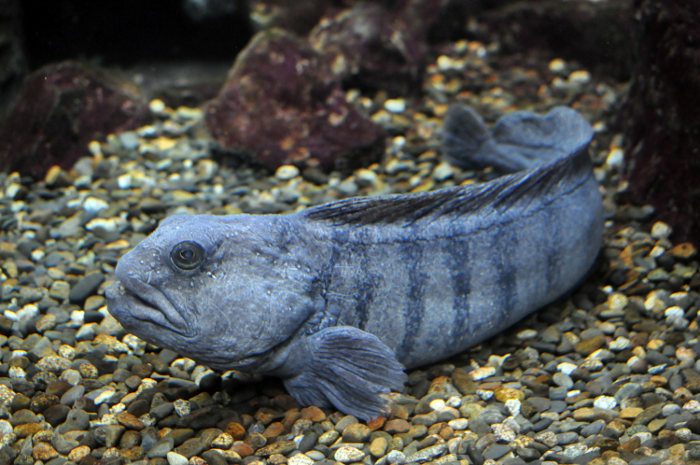 The iconic wolf fish is very important to the recreational diving industry – this is a species that has specific environmental requirements and if this species does not thrive then the economic impact to Eyemouth would be measurable. The VMR clearly benefits from having a resource like the ranger service, to help build capacity and opportunities in the area. The success of this is that they are a team – I don’t think placing individual marine rangers in each distinct MPA area would provide the level of support and knowledge required throughout the network, as the issues are so diverse. This is a case of 2 heads are better than 1 – or many heads! I think the challenges are similar throughout the Network – we need to make the marine environment and the protection of it relevant to everyone – not just fishing or diving. I really get the impression that for most people the health of the sea and our coasts is just not relevant to their way of life- as a network we need to show that it is. Measuring the economic value is useful, but we also need people to value the marine environment for its own sake. It would be easy to think that tourism can bring the added value to an area that has a well-managed marine environment with all the subsequent benefits, water quality, bird life, marine mammals etc., but there also needs to be caution that we do not encourage deleterious behaviour – like the “feed the seals” van at Eyemouth. Perhaps a CCN code of practice for all stakeholders in MPAs around Scotland would be good, designed for businesses and industry, delivered, monitored and measured by rangers? All images (except the wolf fish) © Annabel Lawrence. Thank you to CAOLAS and the VMR for participating in this learning exchange.